Many successful small businesses offer convenient, fast, and safe card processing for their customers, saving money in the process. The ID Tech Shuttle is the perfect mobile card processing choice for secure, cable-free, and quick transactions anyplace. Introducing the ID Tech Shuttle, this little powerhouse fits right into the headphone jack of your mobile phone with a magnetic strip reader that can easily read credit cards, debit cards, gift cards, loyalty cards, and more. The ID Tech Shuttle functions like any other cable-connected, desktop terminal from the palm of your hand. The ID Tech Shuttle’s proven MagStripe reading technology offers up to two tracks of sensitive information and bi-directional card reading. This allows you to capture the accurate payment information necessary to process the transaction, offering cardholders the peace of mind in knowing their sensitive information is encrypted to maximize privacy. It’s a win-win device for your business and customers. The ID Tech Shuttle can save some serious cash by avoiding those pesky card-not-present interchange fees that can quickly add up. It not only offers convenience at trade shows, farmer’s markets, and outdoor events, but also serves to streamline the payment process for restaurant servers, salespeople, and vendors. 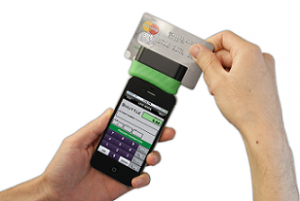 With this mobile card reader, sales can now be made right at the table or booth, allowing for lightning-fast transactions. The customer can witness the transaction first hand, alleviating privacy concerns and leaving with them with a positive impression of your business. As a business, you can bask in the knowledge that you have saved some dough offering customers a convenient and safe way to pay. 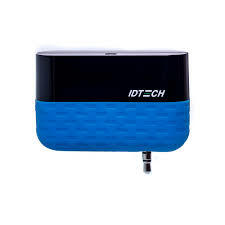 Let’s not forget that with the ID Tech Shuttle there is no need for bulky cables, expensive and inconvenient batteries, or the use of a power supply. More realistically, you are also covered in the event of a power outage, as the Shuttle makes a great backup to a traditional set up. No power; no problem. Small businesses make up more than 80% of the marketplace in the United States alone. That number is creeping up every year. In fact, 97% of new businesses registered have 50 employees or less. Even big businesses are trying to find ways to act small and make the customer experience more personal. Why is this important? Customers are demanding more: More personalized service; more convenience, and more payment options. With the ID Tech Shuttle, you offer all of this and more. You provide a safe, transparent transaction in their immediate presence in a flash. Why not exceed your customer’s expectations and enhance their buying experience, while making your life easier too? Very low battery use on mobile devices. Add these to the bi-directional card reading, awesome MagStripe reading performance, and the freedom associated with not using a power supply and you not only boosted your bottom line, but your business image as well. No Wires. No Cables. No Problem. The ID Tech Shuttle is All Service. You have just opened up a whole new way of accepting payments with the ID Tech Shuttle. Your customers will love the convenience and security it offers, whereas you will love the savings on costs and ease of use. With the ID Tech Shuttle from Transparent Merchant Accounting, you truly are free to roam wherever your business takes you. So, where are you headed?